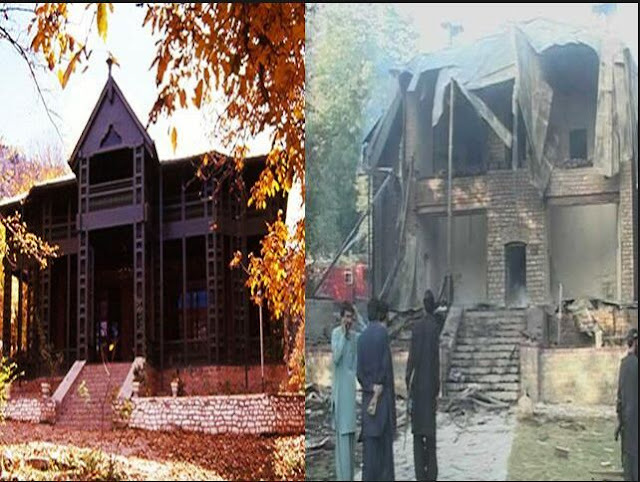 In a shocking after midnight attack, militants armed with automatic weapons and hand grenades forcibly entered the 19th century wooden structured residency at Ziarat and blew it up, after killing the lone police guard. The building is in Ziarat town, 80km southeast of Quetta, the capital of insurgency-hit Baluchistan province. The country's founding father Mohammad Ali Jinnah spent his last days in the building, which was declared a national monument following his death, one year after Pakistan's independence in 1947.